Pastor Derrick Lewright came to Berean Baptist Church in December of 2013. 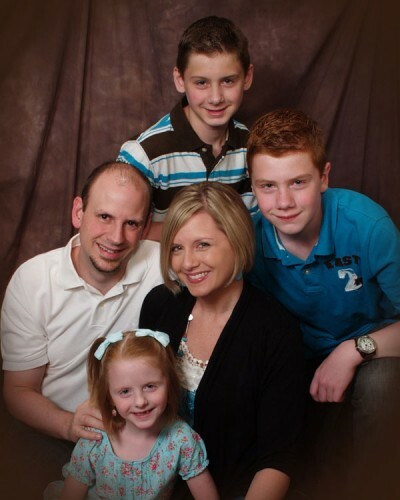 Pastor Lewright, along with his family, previously served as Baptist Bible Fellowship International missionaries to the country of Poland, from 2001-2013. In 1999 he earned a BA from Baptist Bible College in Springfield, MO, and is currently finishing up his master’s degree in marriage and family counseling through Liberty University. Pastor Lewright grew up in Southwest Missouri, in the heart of the Ozark Mountains. It was there that he met and married his high school sweetheart, Amber, and as they say, the rest is history. The Lewrights, along with their three children, Hayden, Samuel, and Emilia, are very excited to be here at Berean Baptist Church and look forward to meeting you in person.